Note: Women and Girls Canoe Trip - Temagami, Northern Ontario. Take your daughter, niece or a special young girl in your life on a special bonding experience – a wilderness canoe trip with fun girl-friendly guides, other women with girls and all the details taken care of to enjoy the wonders of this amazing Canadian experience. Designed for budding wild girls age 8-14, with awesome mums, fab aunts, cool grannies, etc! 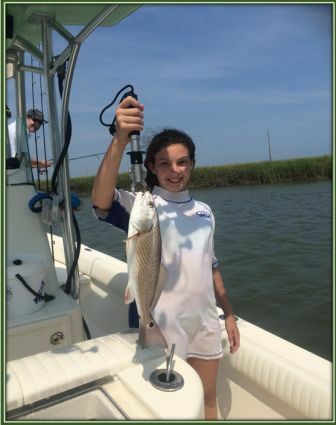 Note: Coastal Studies for Girls is the first and only science and leadership semester school, 10th grade girls with a passion for discovery, an adventurous spirit, and a desire for challenge are actively exploring coastal marine ecosystems, engaging in rigorous college preparatory courses, and realizing their leadership potential in a supportive living and learning environment. 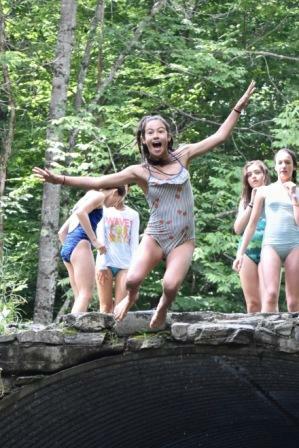 Note: Two programs for girls: Wilderness Adventures for Girls (ages 11-13) & Wild Girls! (ages 13-15). 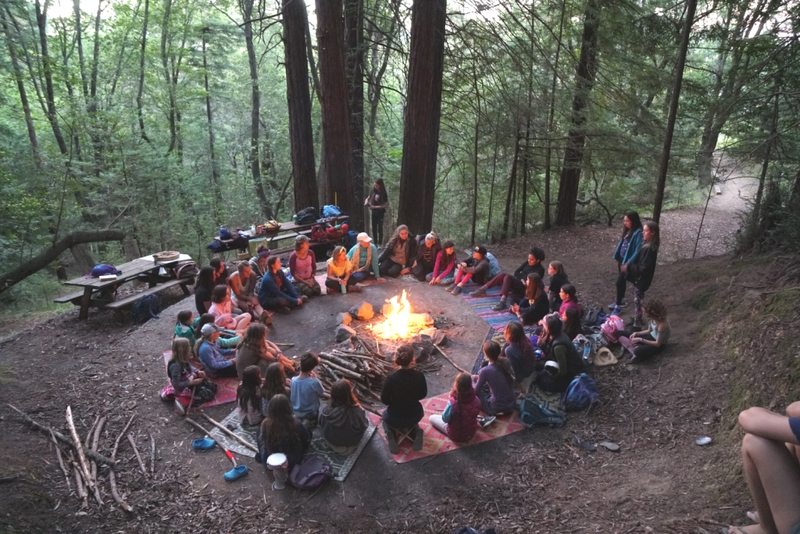 Committed to awakening in young people a connection to nature and the spirit within, and a capacity for conscious living and compassionate service. They strive to achieve this through wilderness adventure, community living, farming, and the practice of traditional and indigenous skills. Note: GALS is a 2-week program for high school girls from underrepresented backgrounds. 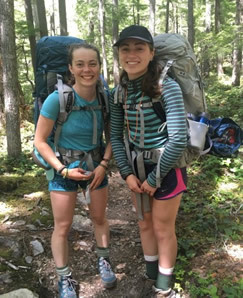 Girls backpack through Pisgah National Forest while learning hands-on, place-based science. GALS strives to cultivate a passion for environmental science, develop leadership abilities, enhance critical thinking skills, and promote teamwork. 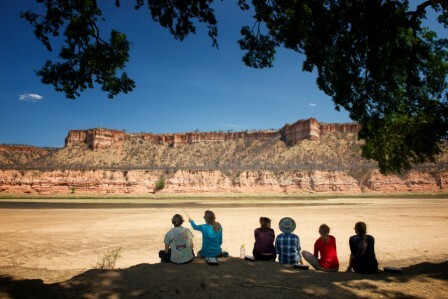 Note: Expedition teams of 9 teenage girls and 3 instructors spend 12 days exploring and learning in wilderness environments. Scientific field studies with professional glaciologists, geologists, ecologists, oceanographers, marine biologists, artists, and wilderness guides. Girls build critical thinking skills, gain self-confidence, and see the world with new eyes, while building lasting friendships. Expeditions include Girls on Ice (in Washington, Alaska, Switzerland, and soon Canada), Girls in Icy Fjords (Alaska, new in 2017), Girls on Water (Alaska, coming soon), and Girls on Rock (Colorado, coming soon). All programs are tuition free! Note: GOLD programs inspire courage & leadership in girls from all backgrounds in beautiful locations around the country. 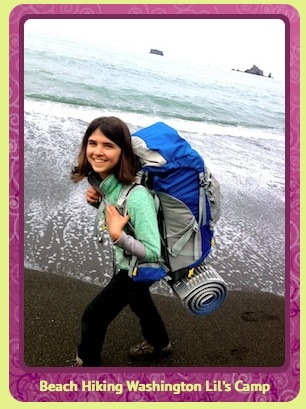 Spring break & summer adventures: climbing, backpacking, rafting, canoeing, biking. Partnership programs: Custom designed for schools and other organizations; workshops & trainings; collaborations with other organizations with similar missions. Girls only programs operate in over 25 cities nationally. (Click here to find list of locations). Note: Year-long leadership and experiential program specifically designed for teen girls of color who face economic and social barriers to success. Girls begin the program the summer before their freshman year of high school and continue until the following summer. Participants also receive alumni programming and support throughout high school. Programming includes leadership development, mentoring, academic support, job readiness training, community service projects, paid summer internships and Outward Bound opportunities. 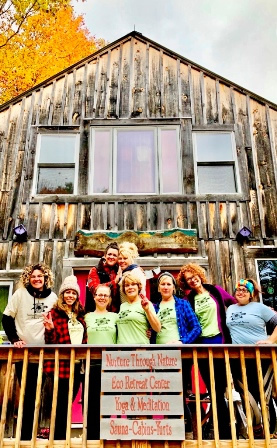 Note: The Women in the Outdoors program provides educational outdoor opportunities for women (14 and older) all over the country while fulfilling the NWTF mission of preserving the hunt, educating future generations of conservationists and sharing our love of the outdoors with new audiences. Note: The program explores the mountains and coast of the Olympic Peninsula, as well as exploring community and our own strengths and gifts! Laughter, sweat, creativity, reflection, and new friendships all come together as girls support each other through an experience of personal transformation. Note: A 15-week program for girls ages 15-18 to participate in an overseas experience for an academic semester. Curriculum includes academics, overseas exploration, community development and service projects, and outdoor activities. Students earn credit for 7 semester courses. Note: Programs are for girls ages 8-18, ranging from day camps to week-long trips. Financial aid is available for all girls’ courses & they have never turned away a girl needing financial support. Activities include rock climbing, camping, backpacking, canoeing, art projects, team-building and leadership initiatives. Their recipe of strong female instructors as role models, wild places away from phones, media, cliques, and school pressure, and a girl-positive approach helps girls feel strong and great about who they are! All courses occur in an atmosphere that cultivates respect, inclusivity, and collaboration. Note: Feet On The Earth’s camps & school-year programs guide girls, ages 7-17, to engage the power of their bodies, minds, hearts and spirits to pursue their passion and purpose in life. 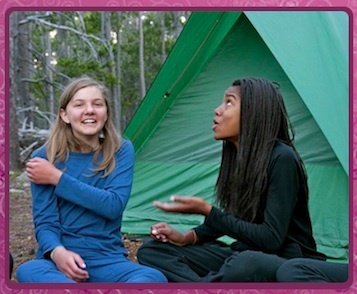 Through long-term, nature-connection mentoring and community-based, wilderness rites of passage, girls are supported to align with their true self, identify their sacred gifts, and develop simple yet powerful tools to transform their lives. A multi-generational team of dedicated female mentors and role models holds each group of 6-12 girls. Financial aid is available. Programs and training for women are also available. 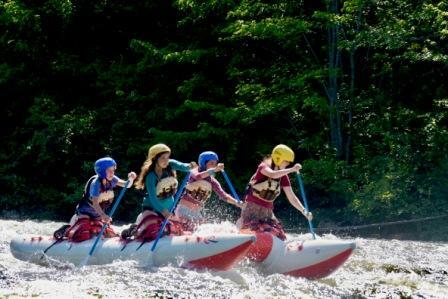 Alpengirl Adventure Camp ~ "Girls with Altitude"
Note: Alpengirl offers 1 or 2 week overnight multi-sport outdoor adventure camps to teen and pre-teen girls ages 11-16 in Montana, Idaho, Wyoming and Washington. Backpacking, yoga, horseback riding, surfing, rock climbing, rafting. Alpengirl offers a balanced mix of outdoor adventure, organic fitness and genuine friendship allowing each camper to blossom. Brown Girl Surf is a movement that shifts societal narratives around girls and women of color in the outdoors. Our mission is to build a more diverse, environmentally reverent, and joyful women’s surf culture by increasing access to surfing, cultivating community, amplifying the voices of women of color surfers, and taking care of the earth. Note: Gaia Girls Passages provides circles of support, inspiration and encouragement through nature and soul based after school groups, summer camps, and rite of passage ceremonies for female-identified youth, grades K-12 and their mothers (or female care-givers) in the Bay Area of California. . 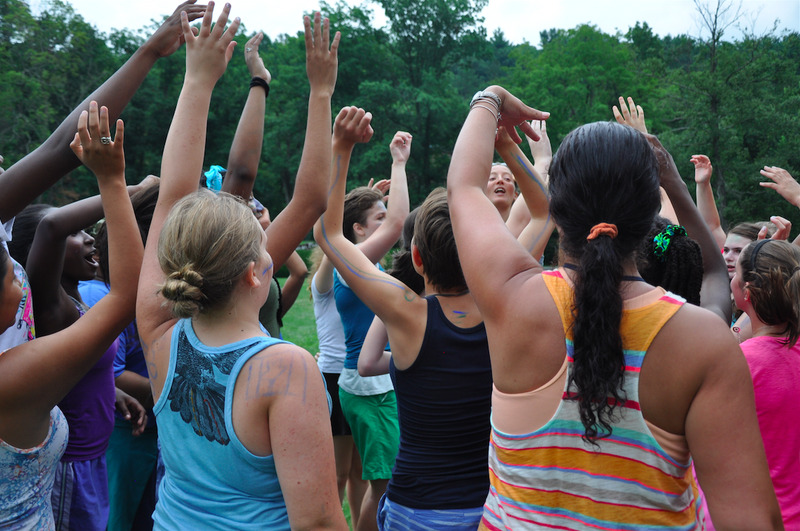 Note: GirlVentures inspires girls to lead through outdoor adventure, inner discovery, and collective action. GirlVentures’ courses help girls lead with confidence and empathy, develop lifelong healthy habits, and find their place in nature, through mentored indoor rock climbing courses and wilderness expeditions that integrate rock climbing, kayaking, and backpacking with a curriculum focused on social-emotional learning, leadership, and environmental justice. Note: The mission is to empower girls through the sport of surfing and Maui adventure. Whether it be learning how to catch the warm waves of Maui or hiking through the beautiful West Maui Mountains, girls gain an enriched summer experience and sense of self at camp. They offer the smallest student to teacher ratio's (3:1) in the industry, to foster bonding, mentorship, and self-awareness at their surf camp. Be a part of the growing o'hana (family)! Note: Programs support teen girls, ages 13-17 years old, and their mothers, in the transition from young woman to woman. Through conversation and experiential education they explore the many changes that occur in adolescence and apply conversation and experiential education to what it means to be a healthy and balanced woman. Whether there are lifetime goals and dreams to integrate or by simply seeking a lifestyle to support a fulfilling life, the tools and activities incorporated fuel the passion and inspiration already present or bring to the surface what may be buried underneath waiting to be discovered. Note: Part of the CO Division of Criminal Justice, G.E.T. advocates for girls in the juvenile justice system. They provide training and programming appropriate to female youth. Note: Inspires all girls to be strong, smart, and bold through direct service and advocacy. Comprehensive approach to whole girl development equips girls to navigate gender, economic, and social barriers and grow up healthy, educated, and independent. Informed by girls and their families, they also advocate for legislation and policies to increase opportunities for all girls. Note: Co-founded by bestselling author and girl-expert Rachel Simmons and dynamic speaker Simone Marean. This nat'l organization inspires girls to be true to themselves. By teaching the practices of emotional intelligence, assertive self-expression and healthy relationships, Girls Leadership teaches girls the skills to be brave, resilient, and connected. Programs include: Overnight Summer Camp (grades 6-12), Day Camps (grades 4-5), & Parent/ Daughter Workshops (for grades K-8) in CA, NJ, NY, and CO. All courses use interactive, hands-on lessons and are progressive, following girls’ developmental needs from grade school through H.S. Note: Each summer, girls from all corners of the globe are brought together for a unique 9-day leadership program inspired by Eleanor Roosevelt’s legacy as “First Lady of the World.” Over the course of their week together, girls experience interactive workshops, participate in field trips to sites of historic and humanitarian interest, visit career sites in NYC hosted by accomplished female leaders, and gain global perspectives on leadership and diplomacy—all while building international networks and creating lasting bonds. Girls emerge transformed and energized, ready to be the compassionate, socially-conscious change agents of the future. Note: A physical activity-based, positive youth development program designed to enhance girls’ social, emotional and physical skills and behaviors to successfully navigate life experiences. The program’s intentional curriculum places an emphasis on developing competence, confidence, connection, character, caring, and contribution in young girls through lessons that incorporate running and other physical activities. The life skills curriculum is delivered by caring and competent coaches who are trained to teach lessons as intended. Girls on the Run serves over 200,000 girls annually, grades 3-8, spanning all 50 states. Find a council near you! 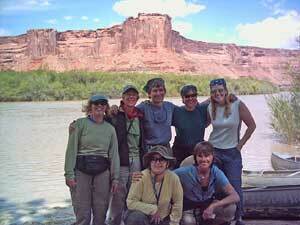 Note: A resource for women in outdoor education and recreation. This oustanding resource is for women who work and/or participate in outdoor adventure activities. It features a series of profiles of inspirational outdoor women, organisations that cater to women, trips and events, a discussion forum, lists of resources and a blog. The site is regularly updated. Note: ICRW is an international organization that works alongside partners across the globe. Our work begins and ends in communities because we know that when given the opportunities, women and girls have the power to change their world. Through our two strategic hubs in Africa and Asia, our local staff are engaged in research, programs and policy advocacy at the regional level. Note: Eco-retreats and earth~friendly vacations for individuals, couples & groups. Design your own enriching retreat by adding specialized holistic life coaching services, private yoga instruction, guided meditation, and/or a magical private wood-fired sauna session. Note: Founded in 1999, the mission of Oasis For Girls is to partner with girls and young women of color from under-resourced communities in San Francisco to help them cultivate the skills, knowledge, and confidence to discover their dreams and build strong futures. Note: Specially designed program for young women, 15-18 years of age, during summer months. This School of Embodied Leadership Training focuses on increasing girls' awareness of their somatic self (internal sensing/whole self) and connecting physical practices with the development of self and their ability to take effective action in the world to produce the results they intend. 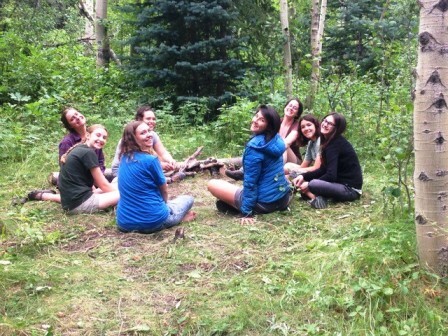 Note: SCA works with high school girls (ages 15-19) through co-educational crew opportunities. 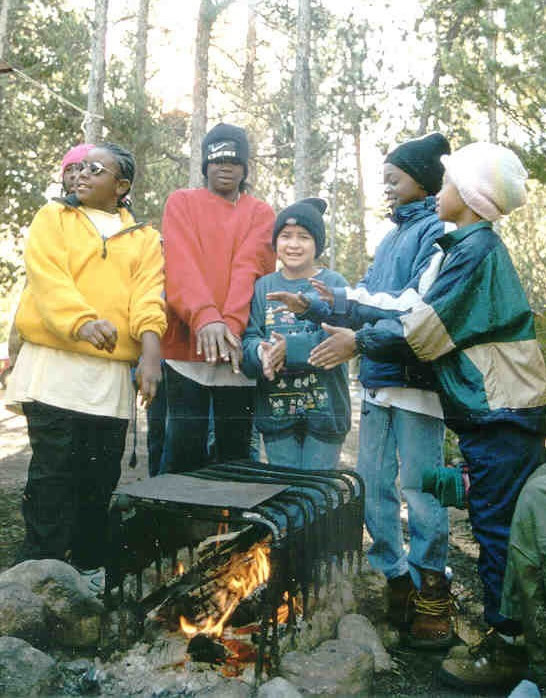 Students gain wilderness skills, enjoy outdoor adventures, build hiking trails, and restore habitats back to their natural states. It's time for real adventures, real challenges, and making a real difference. Crew members live and serve in national parks, forests, and other public lands for a 4-5 week summer program. Develop leadership skills and get real experience for your future! Note: Magazine digital archives. Submit your story! Note: Envisions a world where all women and girls have the opportunity to live, lead and thrive.Their mission is to advance leadership and economic opportunity for women and girls in Washington State. They accomplish this by making the case, driving solutions and mobilizing people to make change. Note: Links for curriculum, pedagogy, research, periodicals, funding, issues, discussion lists, and more. 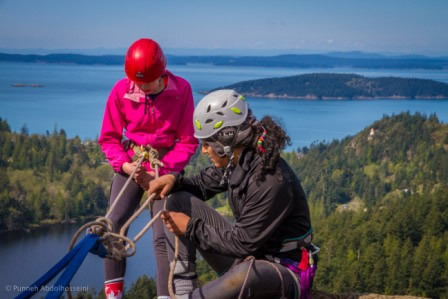 This document is not intended to be exhaustive, rather provide an at-a-glance resource list for people seeking outdoor-based programs for girls, experiential learning program models (broadly) and/or resources to assist with adventure programming for adolescent girls in the outdoors. Also as shown, a variety of "miscellaneous resources" is a sample only.